Is Valmont Industries, Inc. (NYSE:VMI) a buy here? Money managers are actually turning less bullish. The number of long hedge fund positions that are disclosed in regulatory 13F filings was trimmed by two in recent months. 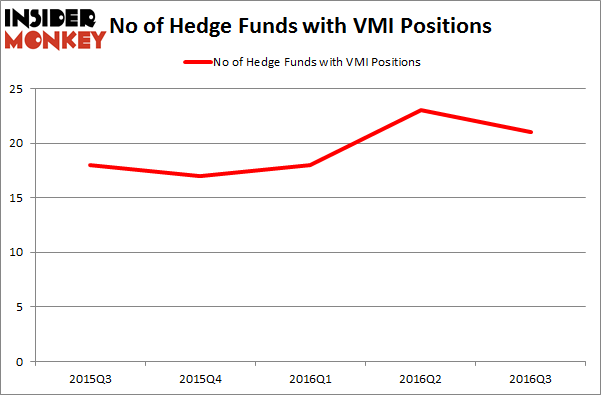 In this way, there were 21 hedge funds in our database with VMI holdings at the end of September. At the end of this article we will also compare VMI to other stocks, including Avis Budget Group Inc. (NASDAQ:CAR), Education Realty Trust, Inc. (NYSE:EDR), and NorthWestern Corp (NYSE:NWE) to get a better sense of its popularity. How have hedgies been trading Valmont Industries, Inc. (NYSE:VMI)? Heading into the fourth quarter of 2016, a total of 21 of the hedge funds tracked by Insider Monkey held long positions in this stock, which represents a fall of 9% from the end of the second quarter. 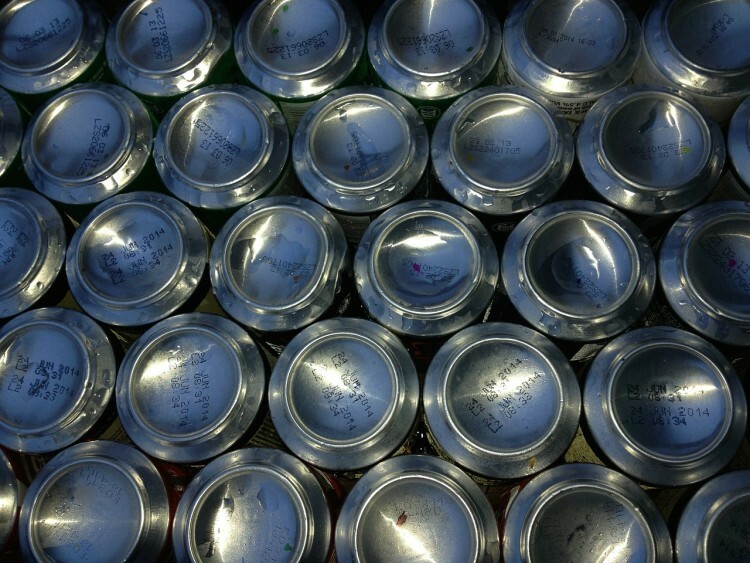 By comparison, 17 hedge funds held shares or bullish call options in VMI heading into 2016. So, let’s see which hedge funds were among the top holders of the stock and which hedge funds were making big moves. Of the funds tracked by Insider Monkey, Royce & Associates, led by Chuck Royce, holds the largest position in Valmont Industries, Inc. (NYSE:VMI). Royce & Associates has a $110.5 million position in the stock. Sitting at the No. 2 spot is Thomas Bancroft’s Makaira Partners, with a $89.1 million position; the fund has 13.5% of its 13F portfolio invested in the stock. Some other peers that hold long positions encompass Jim Simons’ Renaissance Technologies, Cliff Asness’ AQR Capital Management and Ken Griffin’s Citadel Investment Group. We should note that Makaira Partners is among our list of the 100 best performing hedge funds which is based on the performance of their 13F long positions in non-microcap stocks.